I will include photos from my apartment as well, but first up I want to share inspiration photos including black and white prints. 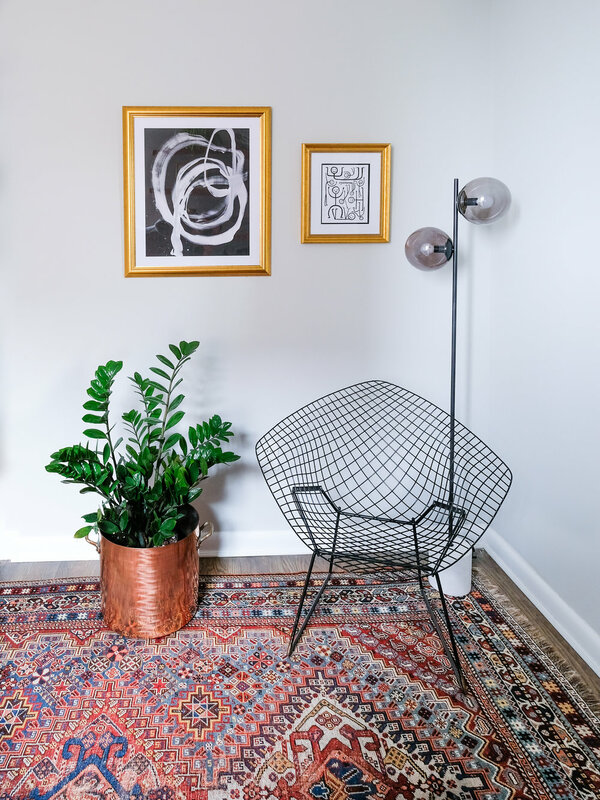 I love how versatile prints without color are and think that anything from vintage landscapes to ultra modern designs can work in every space. 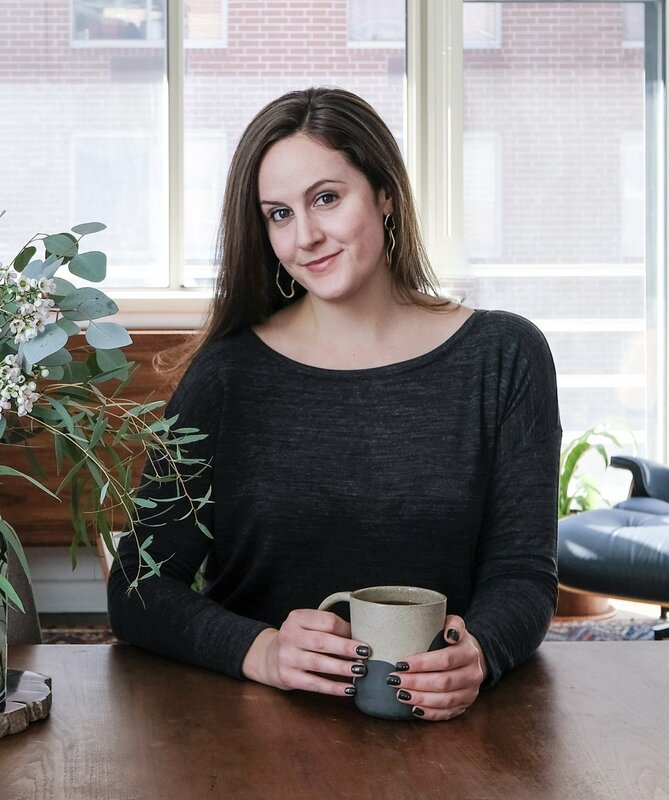 Rather than looking bland and neutral, black and white can give you contrast and a high impact design statement if decorating with bold colors isn't your thing (like me). Source. 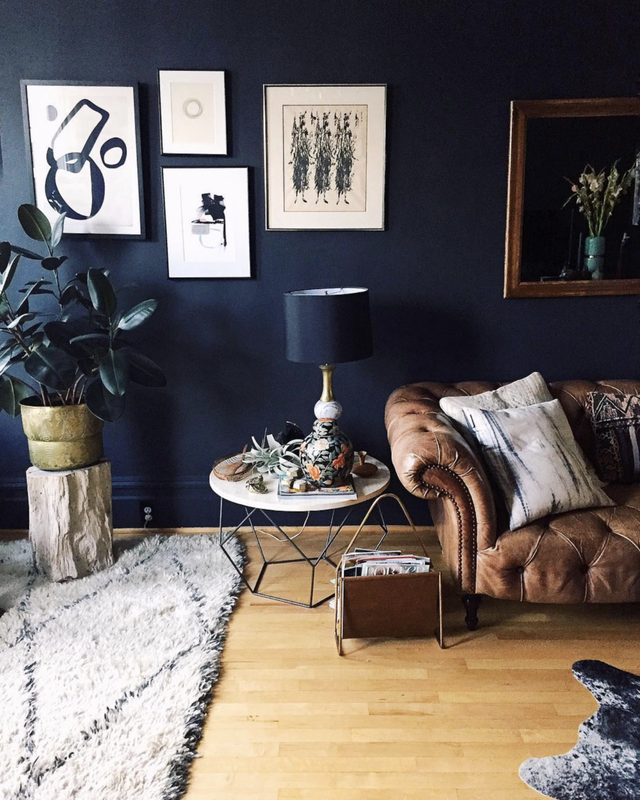 Black and white prints mix well with colorful images and paintings in a gallery wall. Source. So obsessed with the design here! Source. How amazing is this print?! And I love that they paired it with a natural frame. Source. Dreamy dining room and I love that print. Source. 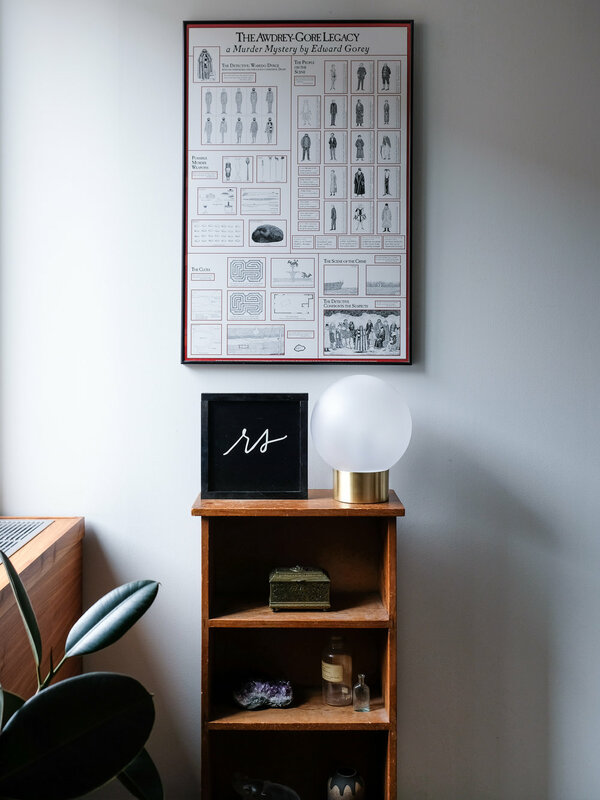 Kelly Lack's San Francisco home is so inspiring. Give her a follow if you don't already! Now to my home. As you can see, black and white prints are everywhere! In every room and on almost every wall. 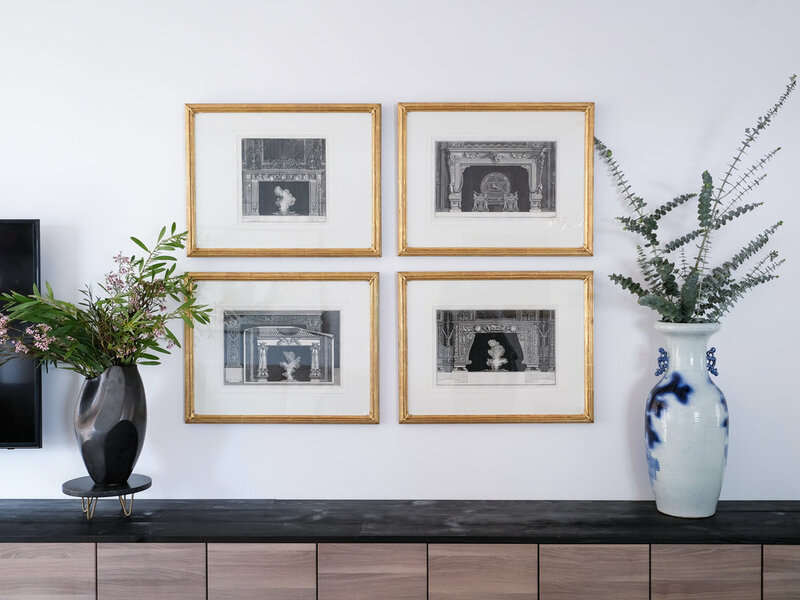 Pairing my prints with gold frames is one of my favorite interior choices because I think gold accents the black and white so well. I partnered with Art to Frames to create this modern art wall in my study. The black and white print on the left is the Knots II print from Jenny's Print Shop and I am thrilled with the way that it turned out! Jenny's Print Shop and similar companies allow you to print a downloadable high-res jpeg that you can have printed at a place like FedEx Office. 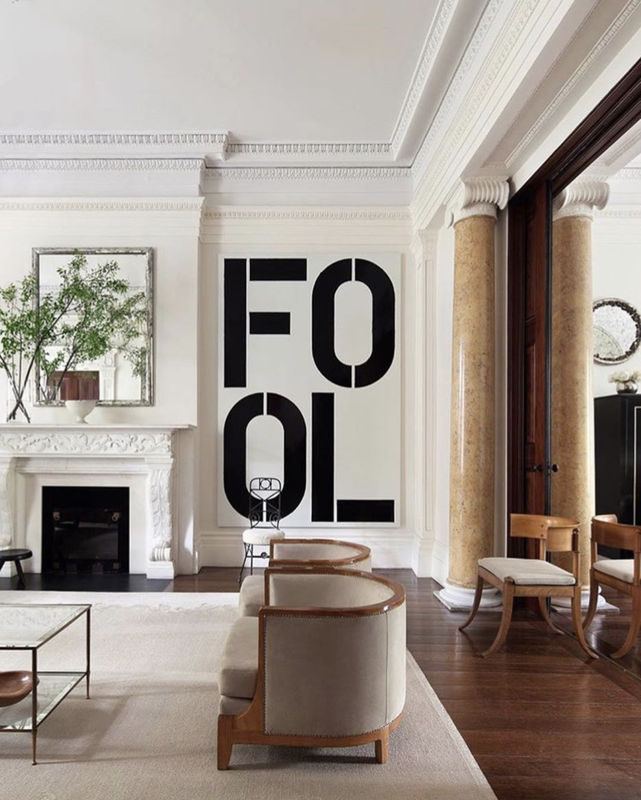 It's such an affordable way to get larger scale art into your home. The print on the left I picked up at Orlando Soria's book signing for his book, Get It Together! Fun fact, I have been obsessed with the illustrator, Edward Gorey, since I was a kid! I have a collection of his books, and several prints of his work as well. Read more about him here! These fireplace prints are some of my favorite pieces in the apartment. Jenny's Print Shop and similar companies allow you to print a downloadable high-res jpeg that you can have printed at a place like FedEx Office. 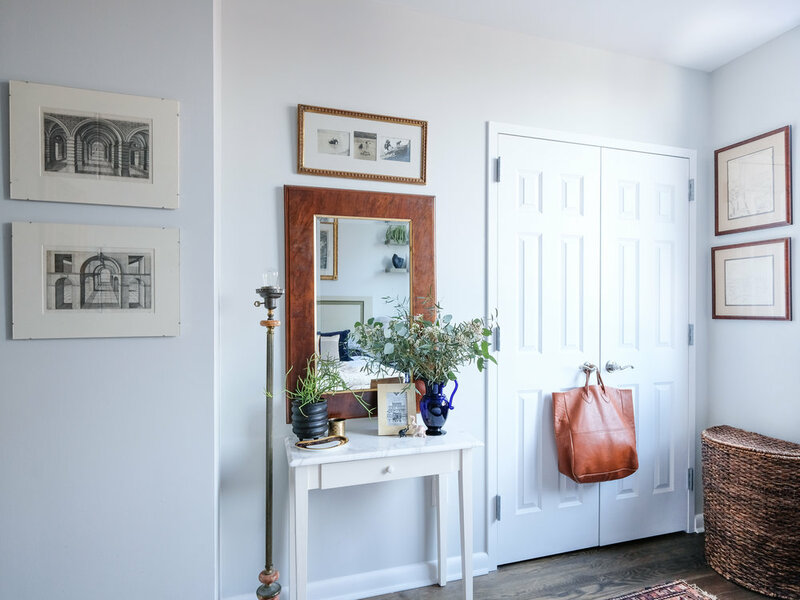 It's such an affordable way to get larger scale art (including black and white prints) into your home. Want to get the look? 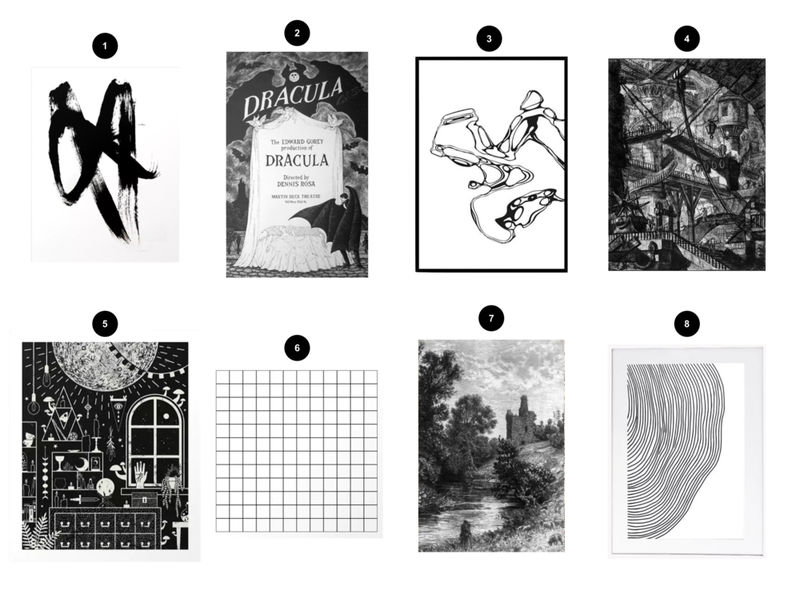 Here are my picks for black and white prints that you can bring into your home. I've tried to round up really affordable options. Beautiful art that's high impact does not need to be expensive. Black and white is so versatile that I think it would be fun to create a gallery wall mixing vintage and modern style prints!